This song by J. Cole, “Apparently,” is the exact muse I need to write this blog entry. Girl & the Goat is my favourite restaurant in Chicago. My husband and I had an impromptu, gorgeous, meal at Girl & the Goat in celebration of me being cast in Shaw Chicago’s production of “Major Barbara.” I am so excited for the opportunity to sink my teeth into some classic text. Sidenote: Chef Stephanie Izard is a culinary genius and we have been there too many times. We have MASTERED this menu to the point where people at different tables were asking US what to get! Green Beans, Pork Shank, Goat Belly and the Shrimp & Grits Bread are the way to go! I have always wanted interview Chef Izard so if anyone knows her in the Chi let her know D is looking for her! With that being said, there are some things I need to get off my chest immediately. With all of the diversity on television currently: WHERE ARE THE CURVY/PLUS SIZE YOUNG CHARACTERS?! I am so thankful for racial diversity on TV, because the color drought has been REAL for many years! Now let’s talk about size diversity! Big Women of Color have been playing: best friends, maids, SASSY, rude, HOSTILE, hilarious, abusive, overeaters, over-emotional, needing a man, and all other adjectives I am frankly too tipsy to type. The shade is I don’t mind being funny! I was selected for Second City’s Bob Curry Fellowship this year and the NBC Comedy Break Out Festival. I love to make people laugh. I come from a family of hilarious Jamaicans and hope to one day have that story shared on television. People tell me all the time, you’re that sassy black girl that could play THAT role. Sassy black girl that screams out roles. Sassy black girl that screams up the place. But, what if I don’t want to be that Sassy Black Girl? What if I want to be the Kerry Washington black girl? What if I want to be in Maxwell’s video too? I want to be in a CLASSY MUSIC VIDEO TOO! I WANT TO BE ON TELEVISION. I am a trained actress that graduated with First Class Honors and a Master’s Degree in Acting from the UK. I don’t understand. Chile I went into a VOICEOVER audition and the pale-skin woman told me to “Hip-Hop” my audition! Lord! Listen to my feline prayers and know I will never truly be Big Sean, Diddy, Jay-Z, 50 cent or even 25 cents for that matter. I can TRY. My job is to have a clear objective, play intentions and make BOLD choices. But I am not going to lie and say it is not difficult when a Pale Person during an audition circumstance uses words like: “hip-hop” or “underground” or “down” or “ghetto fabulous.” Chile…BYE! Buy the Actions Book and find some other words! I am with one of the top agencies in Chicago and there are over 10 trillion tv shows being shot here at the moment. I have only been called into ONE pilot audition this year. I do not want to miss out on these amazing opportunities. Two theatre companies have announced their 2015/2016 seasons today and basically all shows have been cast! My agency has been really good to me, but the straight truth is, there are not a lot of parts for young, curvy women of color. Then I have to rewind, flip it and reverse it and be like: No, No, No! Birmingham School of Acting UK is one of the top MFA programs in the UK. I had phenomenal training at that program. If I did not go to BSA school I would not have graduated with Body/Courage, or met my husband. So I am taking measures into my own hands. This Month, I am going to use this blog as a platform and will write an Open Letter to every-single person who has changed my life as an artist. This week I want to focus on these lovely people. None of these names are in any particular order. If any of you fantastic people are reading this I just want to say thank you so much for changing the face of television. Thank you for including diversity into your television shows and turning me into an avid television watcher. I used to hate television. Maybe, it was because they cancelled Xena: Warrior Princess and I got too grown to watch Arthur. But I just wanted to say, your imaginations are unparalleled. I hope that in the future we will be able to work together. It has been my dream to be on television since I hopped out of the womb. Fun Fact: My mother named me after two soap operas, As the World Turns & Days of Our Lives. Please consider me for Chicago MD, PD & Fire. I would be a GREAT nurse; receptionist or EMT specialist. Hope to see you around the Chi & I love your agency! Issa Rae: You are magnificent! When I was in Graduate School in the UK I sat and stole Wi-fi just to get a strong enough connection to watch Awkward Black Girl. You are a game changer and I am so honoured to be living in this time where your work is being published. I could write an entire Odyssey poem dedicated to you, but I will keep it brief. Also- there are some Temple University actors you have worked that I know personally! Please consider me when you begin to cast Insecure. Shonda Rhimes: I will drink your bathwater for free 99. You are such a GENIUS! I have been following your journey since Crossroads! I think you are the most phenomenal of all phenomenals. Every single time I see a black leading lady on Shondaland I want to cry because it has taken the world so LONG to get hip to the idea that black WOMEN can be fierce and command the screen!. Please consider me for any and all projects. I will be a law clerk, shady student. I will be a janitor. I will be a door knob. Whatever you want I am here. Eddie Huang: The reason I love you is because the immigrant experience is SO REAL! My family came to America from Jamaica in the 80s. My Grandmother tried to raise us all Jewish and she worked tirelessly as a live-in nurse so we could all get an education. Fresh Off the Boat is one of my favourite television shows, because the immigrant experience is BARELY shown on TV and I thank you for giving ABC permission to share these stories! Think of me when y’all are casting that awesome show! Tina Fey: I sat and watched all of UnBreakable Kimmy Schmidt in one sitting. I literally sat and drank an Oreo Smoothie whilst dying with laughter Tina, I want you to consider me for a role in UnBreakable Kimmy Season 2. I could be Titus’ shady long lost sister…who knows? This show is EVERYTHING! You are EVERYTHING! You are such an inspiration! 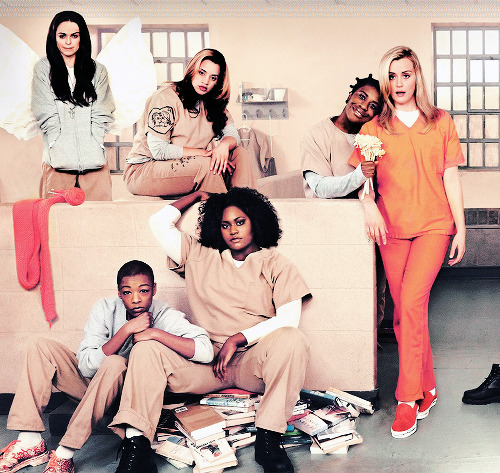 Jenji Kohan: Orange is the New Black is the BOMB.COM! I did not go to Yale or Juilliard, but trust, my training in the UK was legit. There are some Temple University alums on the show. What about having one more? Your show has changed the face of TV and it is so REFRESHING to see a cast of women giving their LIVES to the screen! I love each and every character and I am so grateful for this kind of TV. Please consider me for Season 3,4,5,10,11,12 and infinity. Oprah Winfery: Like the woman with the issue of blood in the Bible! If I could touch the hem of your Glorious gowns I too could experience a portion of greatest. I am in awe by everything you have established in this world. When I have a bad day, I think in my head: “What Would Jesus Do? & How Would Oprah Handle This?” Oprah. You are my top inspiration in the entire world. You made me believe that I could live a life of plural. Plural-living simply means I can do all things. Especially with the guidance of Christ! I never have to limit myself! Thank you Oprah. If you have anything on the OWN network that you might be casting….think of me! Also- I would LOVE to interview you for Body/Courage. You can find all of my contact information here. Love all of you and thanks everyone for reading! This comment gave me life! Thank you so much for your kindness!! Bout to get me put out of work laughing at this hysteria! Tell us how you really feel, friend! Bout to get me fired laughing at this hysteria at work! Best post ever! You are hilarious! Thanks for reading Ms. Lady!